»Business»‘BeLonG To’: Exciting Career Opportunities! ‘BeLonG To’: Exciting Career Opportunities! Are you or a friend interested helping BeLonG To make a better Ireland for LGBT+ young people? They are now looking for three new team members! 2 Paid positions, and one Voluntary. The deadline for the Volunteer Co-Ordinator (Voluntary) position is this Friday, 24th March, details below. The Director of Fundraising (Paid Position) has an application deadline of Monday 27th March. 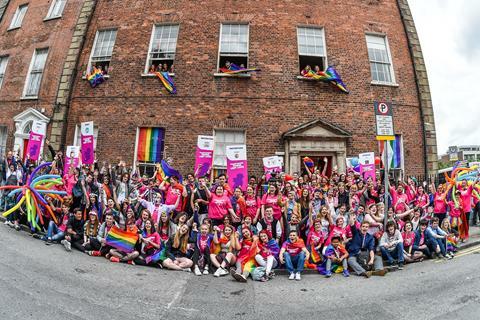 This exciting new role will lead the development and management of a volunteer program at BeLonG To, to assist our busy Youth Work Team in supporting LGBT+ young people in the Dublin region. The Fundraising Director will feed into the development and implementation of BeLonG To’s strategic plans and take over leadership fundraising. They will help to significantly accelerate income growth at BeLonG To to meet the growing demand for our services nationally. This new post will take over responsibility for the day-to-day management of the communications function at BeLonG To, and lead on the implementation of the organisation’s communications strategy.